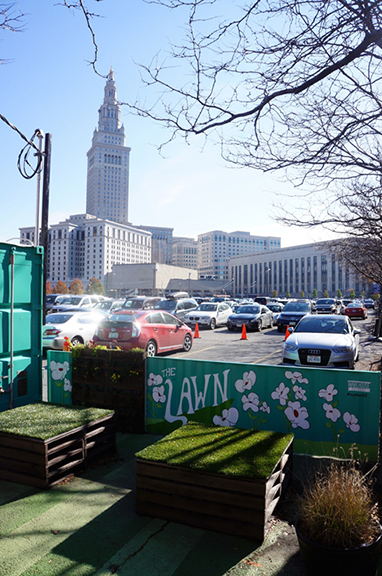 Downtown Cleveland needed a spark to drive residential interest and growth. 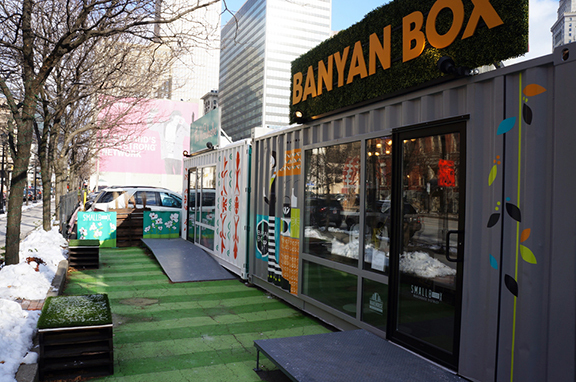 Enter smallBOX, an retail popup district made of up-cycled shipping containers and wood palettes. 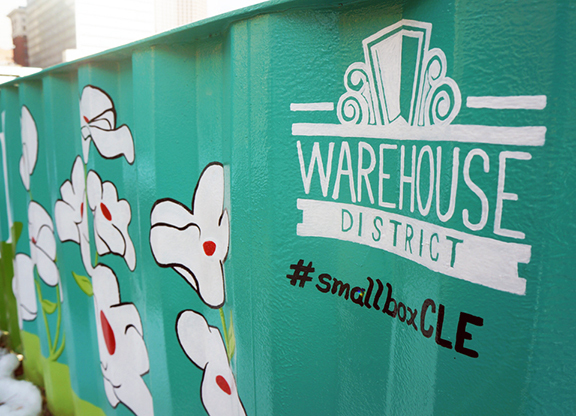 Cleveland's Historic Warehouse District Development Corporation (HWDDC) needed a creative partner to transform the parking lot into a comfortable and inviting meeting space. 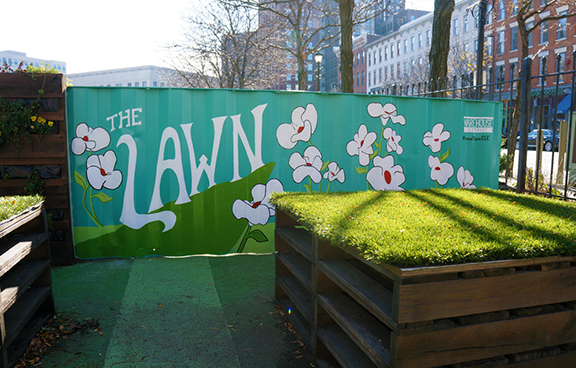 We created "The Lawn," using anti-graffiti paint on corrugated steel with a design that complimented the environment with a clearly differentiated aesthetic to command recognition and raise awareness. 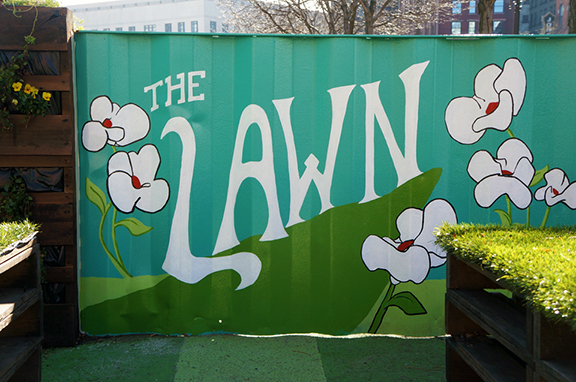 4 ft. x 18 ft.